Ambrosoli International School is owned by Ambrosoli Limited, a Company limited by shares, whose Board of Directors is elected annually at a General Meeting of the Shareholders. The School is managed by a Board of Governors whose membership is chosen from parents with representation from the Teachers and the Board of Directors. The day-to-day Management of the school is done by the Head Teacher and the School Management Team. The Board of Directors is responsible for fiscal planning and development matters of the school leaving the academic matters to the Governors and the Head of School. Dr. Katahoire is a registered electrical engineer, and a graduate from the University of Nairobi, the University of Windsor and the University of Manitoba, where he gained his BSc (E.E. ), MSc (E.E.) and PhD degrees respectively. He is currently the Managing Director and founding partner of Multi-Konsults Ltd, an engineering services consultancy company. He has had over ten years experience as a university lecturer and Head of Department of Electrical Engineering at Makerere University. He has been involved with the school as a parent for over seven years. Luciano is an established manager with more than 20 years of experience working for an international non-governmental organisation. He worked and lived in Uganda for 14 years, leaving in 2006 to relocate to Thailand. He was among the parents who founded Ambrosoli Limited and was appointed its first Chairman. Over the years he has been involved in the school management in varying capacities including Board Chairman and Treasurer). All of Erik’s 3 children spent their formative primary years at Ambrosoli and he has been a shareholder since 2003. He spent eight years with MTN Uganda as Chief Commercial Officer till 2008 before pursuing private business ventures. He currently holds several board directorships in companies across East Africa and sits on two school governing bodies in South Africa. 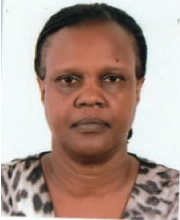 Anne Ruhweza Katahoire is a professor of Behavioral Science and the current Director of Child Health and Development Centre, a multidisciplinary research centre in the School of Medicine at Makerere University College of Health Sciences. Anne is a psychologist, holds a Masters in Education from the University of Glasgow and a PhD in Medical Anthropology from the University of Copenhagen. She is a former parent and a former Chairperson of the Board of Governors of Ambrosoli International School. She currently represents the Board of Directors on the Board of Governors. Robert joined The New Vision as its Chief Executive Officer in January 2007. Prior to that he worked as a Legal and Administration Officer of the Monitor Publications Ltd, before joining his current employer as first a Legal Officer, and subsequently as Company Secretary. 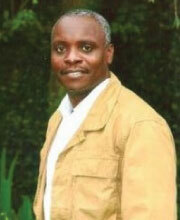 Robert has also worked as Executive Director of the Uganda Media Centre. He holds a Bachelor of Law degree from Makerere University and a post-graduate diploma in Legal Practice from the Law Development Centre, Kampala, and is a member of the Uganda Law Society. He has been on the Board of Governors since January 2009.